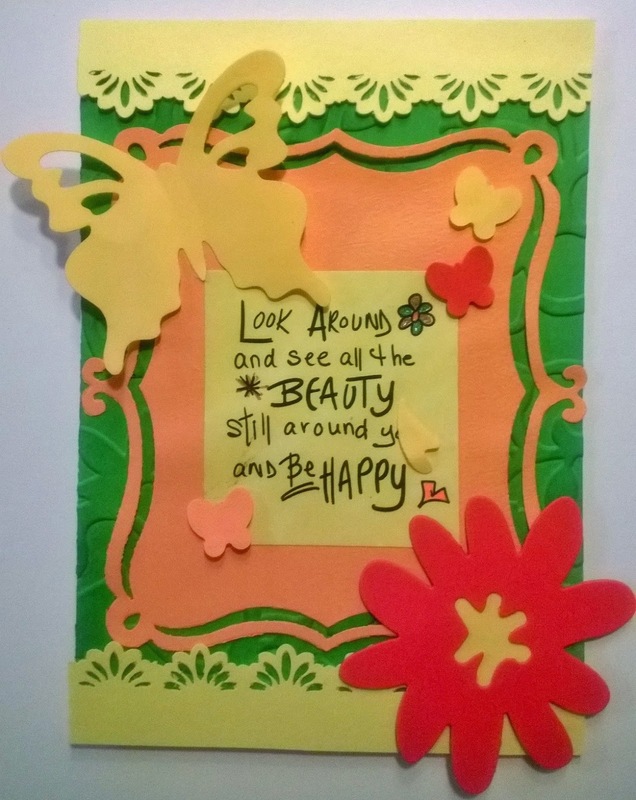 Cards by Jessi: Look around! I really like this Bugaboo sentiment, and thanks to it I even got to try my new frame die. I'm entering the following challenges: Crafting for all seasons (Things with wings), Simon Says Wednesday (Die Crazy), Dream Valley (Things with wings), Top Tip Tuesday (Here comes summer), Sentimental Sunday (Funky Flowers+sentiment), Artistic Inspirations (AG/Punches&dies) and Simon Says Monday (Botanical). Sweet little card! Thanks for sharing with us at Crafting For All Seasons this time! Gorgeous card, Jessi! I love the colours and layers. Thanks so much for playing along with the Simon Says Stamp Wednesday Challenge: Die Crazy! super sweet :) So glad you joined us on Sentimental Sundays this week.